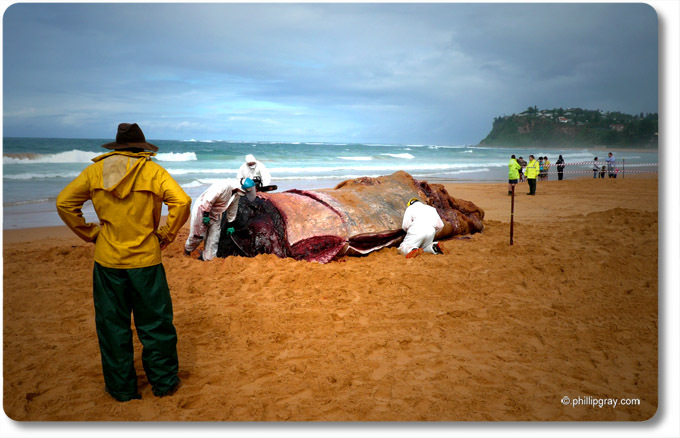 A few days ago a dead sperm whale washed up on Newport Beach (Sydney). It proved to be a bit of a headache to deal with a dead 10 tonne animal. In the end National Parks had to cut it up with a chain saw to take it away.